Both Geoff and Jenni spent time studying in USA during the 1990’s, during the formative years of many of the alternative equine therapies that are now promoted and fashionable today. Geoff worked at this time with master farriers in USA, including Dave Duckett – the pioneer of the revolution in bare foot trimming and shoeing so popular in present times. At this time, the ground breaking studies on the Wild Horse Foot had only just been released to the world by Gene Ovniceck. Dave Duckett described what he saw as a great need to preserve the natural barefoot parameters of the equine foot when applying shoes, thus allowing weight bearing forces from the ground surface up the lower leg to be as close as possible to the horse’s evolutionary bare foot blueprint. When Geoff first saw the Wild Horse Feet studies, it rang true to what he had frequently observed as a station jackeroo on the strong footed station horses who roamed free over millions of acres, only to come in for the mustering season once a year with the need to wear shoes. Geoff also worked extensively with Heath Harris, a well known Sydney based movie horse trainer, who taught him techniques for dealing with difficult behavioural problems in horses, including long reining methods and the foundations of training horses at liberty – all of which make a great foundation for teaching obedience and ground manners to horses for all sporting disciplines. Geoff has also been a racehorse trainer for a period of time, but his major career has been as a master farrier in WA for over 30 years..
After some 20 years in general country practice as a veterinarian, Jenni decided to specialise in postural rehabilitation of performance horses, and spent time during the mid 1990’s at Pennsylvanian Equine Rehabilitation Centre in USA, run by the US Olympic Equine Therapist. At this Centre, she assisted veterinarian Dr Judith Shoemaker, and gained USA Certifications in Veterinary Chiropractics and IVAS Certification in Veterinary Acupuncture. She observed how these therapies were best applied in combination with correct trimming and/or shoeing. This therapy centre also had one of the world’s first Water walkers, and this technology has now been commercialised and accepted into the horse industry as one of the most valid physiotherapy techniques for sporting horses – ideal for training stables that are not located handy to a beach. Jenni has since diversified into other areas of business in the veterinary industry, but still maintains a strong interest in equine therapies and training. 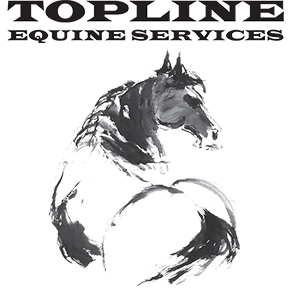 Upon returning to Australia in 1995, Geoff and Jenni founded Topline Equine Services in Perth, Western Australia, with their combined skills and experience. Then, along the way they raised their 3 children. Geoff and Jenni now mainly focus on supporting and developing the riding talents of their children. The family operates their own private training stables for polocrosse and showjumping horses currently based in WA.